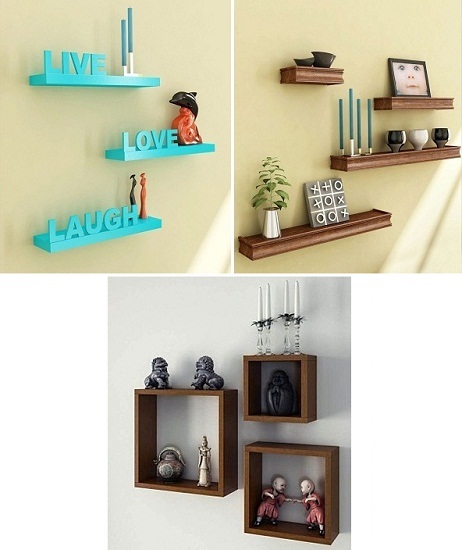 These multiple shelf style wall racks are ideal for showcasing those little showpieces, artefacts and decor items. Want to make them look more interesting? Simply get them fixed in a non-conventional way like shown in the picture for a dramatic look. These checkered wall racks have an aesthetic appeal. The checkered wall rack is a decor item in itself. You can place decorative jars, vases and bottles on these wall racks for an artistic look. 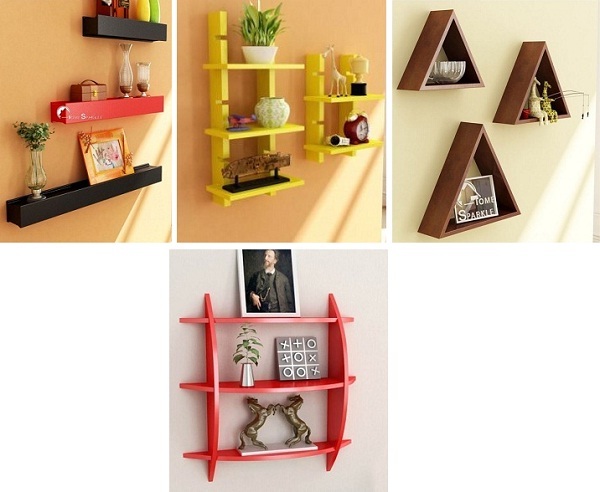 These wall shelves make your walls look so amazing and complement the overall decor of your home. 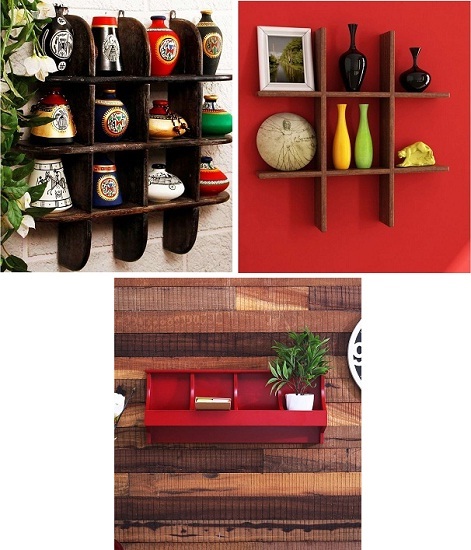 Whether it is a painting, a photo frame or that lucky plant of yours, these wall shelves simply accommodate them all. If it is in your kitchen, you can use it to place your sugar and tea jars along with the spices. The hangers can be used for those cooking spoons and spatulas. If it is in your room, you can place a photo frame along with a few decor pieces. Use the hangers for hanging clothes, scarves, accessories and so on. 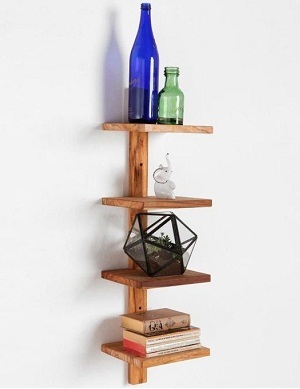 This rack is truly useful no matter where it is placed in your house. In most houses, the common houses are filled with decor items, showpieces, artefacts and more. Place this fancy wall rack in your drawing room or common area of your home and showcase the best of your decor collection up there. These compact wall racks made of wood and wrought iron are perfect for utilising those less useful corners of your house. You can use this rack for placing a lucky plant, your deity’s idol or a laughing Buddha. You can use these wooden brackets for storing your daily essentials and decor items. 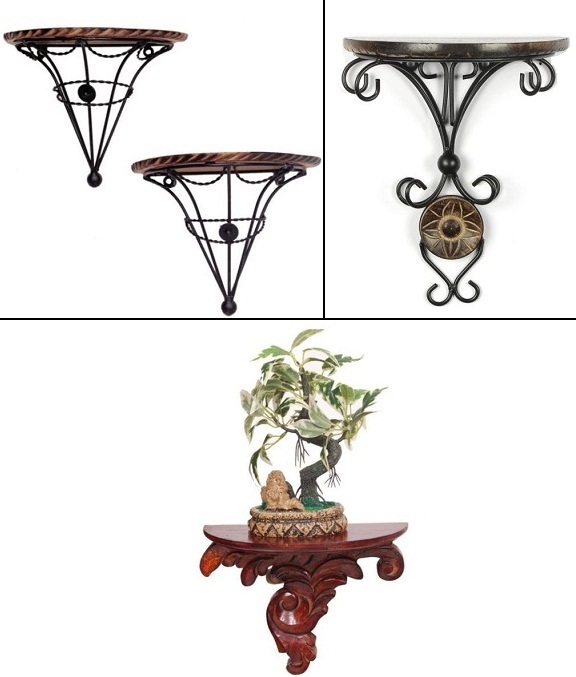 These wooden wall brackets are highly useful as they complement the look of your home with its unique design and enable you to place stuff in and around them.